John Curtis is a big believer in small businesses. He really wants them to succeed and promotes small businesses. As Provo mayor, he supported small businesses, including Sodalicious, in a Guinness World Record-breaking Provo scavenger hunt. John Curtis is open and available to talk to anyone. When you talk with him, you feel like you are the most important person in the world to him right then. John Curtis is great at listening and trying to understand what you need and how he can help you. John Curtis’s strong support for small businesses and his willingness to try to understand what you need and how he can help you make him a great representative for Utah’s 3rd Congressional district. When you subscribe, you will receive event announcements, news, and press releases. Your email is safe; it won't be shared or sold. Opt-out at any time. One of John Curtis’s most impressive qualities is that he sincerely cares about people as individuals. He makes everyone feel like they are his best friend. He shows up for people. John Curtis makes time for everyone. For example, as mayor, he visited city workers who had to work on Christmas and took them gifts. He didn’t have to do that as mayor, but he genuinely cared about them. John Curtis is the kind of person who cares about you as an individual. That makes him great at representing Utah’s 3rd Congressional district. If you want a congressional representative who genuinely cares about you and takes the time to listen to your concerns, vote for John Curtis to continue representing you in Utah’s 3rd Congressional district. John Curtis has created an environment in Utah county where tech startups can start and thrive and where big companies want to come in, stay, and bring jobs to Utah. He’s done this while staying connected to his constituents through social media and other avenues. If attracting and gaining jobs in Utah and being connected to your representative are important to you, vote for John Curtis for Utah’s 3rd congressional district. First as a mayor and now as a congressman, John Curtis has created an environment in Utah county where businesses flourish and bring more jobs. Utah County is now an attractive place for small tech startups to start and create jobs and for big tech companies to come in and bring jobs to Utah. John Curtis not only meets, but also exceeds expectations in connecting with his constituents using social media and face-to-face interactions. John Curtis is a multiplier leader. He elevates the thinking and execution of groups that he leads or is a part of. He leads with brilliance, passion, and creativity and does things that are challenging and exciting. John Curtis’s skills and experience in creating an environment that businesses thrive and grow and connecting with his constituents are essential to represent Utah in Congress.  If you care about the tech and startup community in Utah, vote for John Curtis to continue representing Utah’s 3rd Congressional District. During the seven months that Rep. John Curtis has served so far, he has proven to be a tireless advocate for Utah tech and startups. Through his efforts on the House Foreign Affairs Committee, Curtis is protecting American businesses’ intellectual property, patents and trade secrets from being stolen by foreign competitors. As a member of the House Small Business Committee, he is fighting against heavy-handed regulations that disproportionately burden small businesses and startup companies. As a member of the House Natural Resources Committee, he introduced a bill to streamline the process to permit broadband infrastructure projects across Utah’s public lands, providing greater access to high-speed Internet for Utah’s rural schools, hospitals, and startups. Curtis has proven to be the rare force in Congress who deeply understands technology and how business works. An op-ed by Utah County Sheriff Jim Tracy was published by the Daily Herald in their June 6, 2018 edition. In the opinion piece, Sheriff Tracy outlines his concerns about school safety and maintaining second amendment rights of US citizens. He also adds his name to the long list of endorsements Congressman Curtis has received going into the 2018 primary election. After reviewing The Tax Cuts and Jobs Act, I would be proud to support it. I recognize that this bill is a starting point, and I know that there is a lot of work left to be done to ensure that this legislation best serves the needs of hardworking Utah families. I’m thrilled that this bill would let Utahns keep more of their own money with a significant, long-overdue, tax cut for middle-class families. This bill simplifies the tax code so Utahns can prepare their taxes on a postcard. This bill gives tax relief to our job creators, both small and large, so they can create good-paying jobs and raise wages. If given the honor of representing Utah’s 3rd District in Congress, tax relief would be a major step towards getting things done. When you subscribe, you will receive event announcements, news, and press releases. Your email is safe; it won’t be shared or sold. Opt-out at any time.